The need for affordable, quality child care and early education options grows every year. Families struggle to find quality, affordable options that offer the hours that accommodate parents’ work schedules. Meanwhile, early childhood educators are working hard to care for the country’s children, but they too often find they cannot make ends meet for their own families. We are coming together to demand that the government partner with us to enact public solutions. The movement is growing, the movement is working, and the time to build our collective power is now. 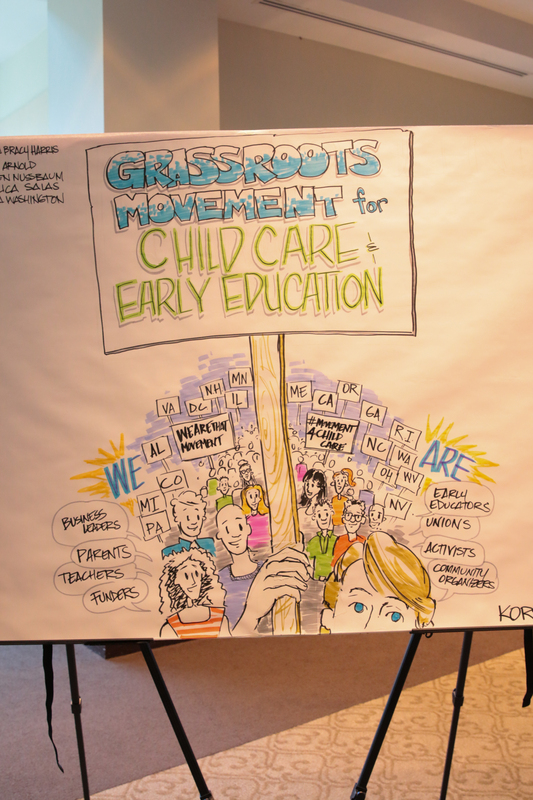 Join the movement for child care today. The need for affordable, quality child care and early education options becomes greater every year. Families struggle to find quality, affordable options that offer the hours that accommodate parents’ work schedules. Meanwhile, early educators are working hard to care for the country’s children but too often find they cannot make ends meet for their own families. Instead of each struggling alone, we are coming together to demand that the government partner with us to enact public solutions.